He removes every branch in me that bears no fruit. Every branch that bears fruit he prunes to make it bear more fruit. You have already been cleansed by the word that I have spoken to you. addiction). On the first page, draw a simple self portrait, on the forehead of your portrait write or draw something to represent what you would like to give up this lent. 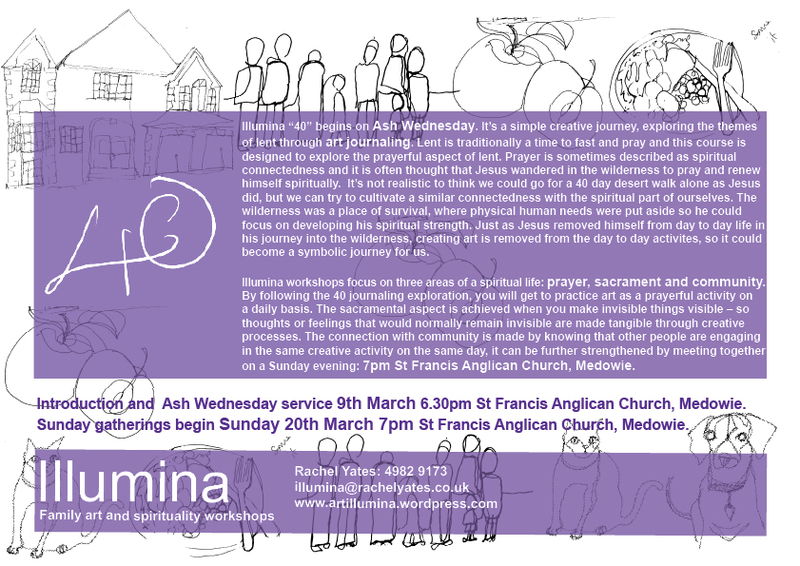 This a pdf version of the full artillumina “40” art journalling course for lent. You can use this file for your church or community group. The pdf can be printed or emailed as required, but please don’t sell on to anyone else! Thank you.